The protesters, including many riot victims and their family members, tried to march from Taj Mansingh hotel towards the Congress headquarters on Akbar Road. 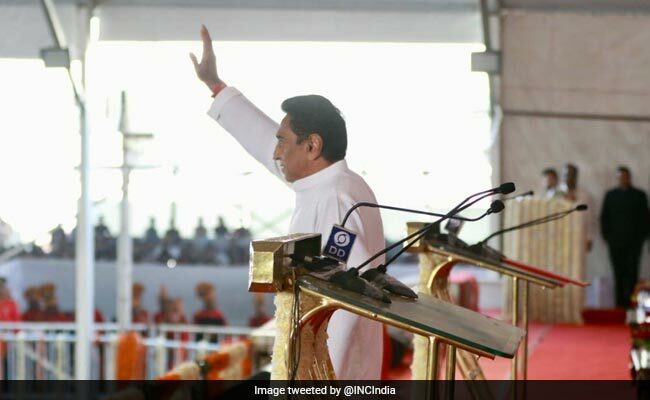 Kamal Nath today took oath as Madhya Pradesh Chief Minister. Delhi BJP activists Monday staged a protest near the Congress headquarters here against Kamal Nath being nominated as the Madhya Pradesh chief minister, who they alleged was involved in the 1984 anti-Sikh riots. The protesters, including many riot victims and their family members, tried to march from Taj Mansingh hotel towards the Congress headquarters on Akbar Road but were stopped enroute by the police. The protesters raised slogans against the Congress and its leaders and demanded Nath's replacement in the Hindi heartland state. "There are witnesses against Nath who led the mob in anti-Sikh riots. Still (party chief) Rahul Gandhi chose to make him the Madhya Pradesh chief minister, thereby opening the old wounds of the victims and their families," alleged Delhi BJP vice president Rajeev Babbar who led the the protest. The protesters also torched an effigy of Kamal Nath during the demonstration.